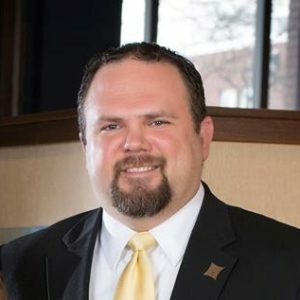 Matthew W. Lorch is a native of the Southern Indiana area and a part of the fourth generation in his family to practice law in the city of New Albany. Mr. Lorch graduated from New Albany High School before attending Centre College in Danville, Kentucky. He then obtained his B.A. in English from Centre and had also spent a semester overseas at Regent’s College in London in the United Kingdom. Mr. Lorch attended law school in Dayton, Ohio, at the University of Dayton School of Law. He is licensed to practice law in both Indiana and Kentucky. After nearly six years of private practice, Lorch Law Office LLC was established in early 2010 and is presently located in the Lorch Law building at 211 East Market St. in downtown New Albany. Mr. Lorch is a deputy public defender in the Floyd and Harrison counties and previously served as the Common Council Attorney for the City of New Albany for seven years. Mr. Lorch lives in New Albany with his wife, Kelly, and their two children. The following is required by the Kentucky and Indiana Bar Associations: “THIS IS AN ADVERTISEMENT.” This web site is designed for general information only. The information presented at this site should not be construed to be formal legal advice nor the formation of a lawyer/client relationship.